Adjusting tyre pressures can be chore. The benefits of doing so are well written about and rarely disputed, so we’ll skip recapping and jump straight to an innovative new product that is focussed on making the task as effortless as possible. 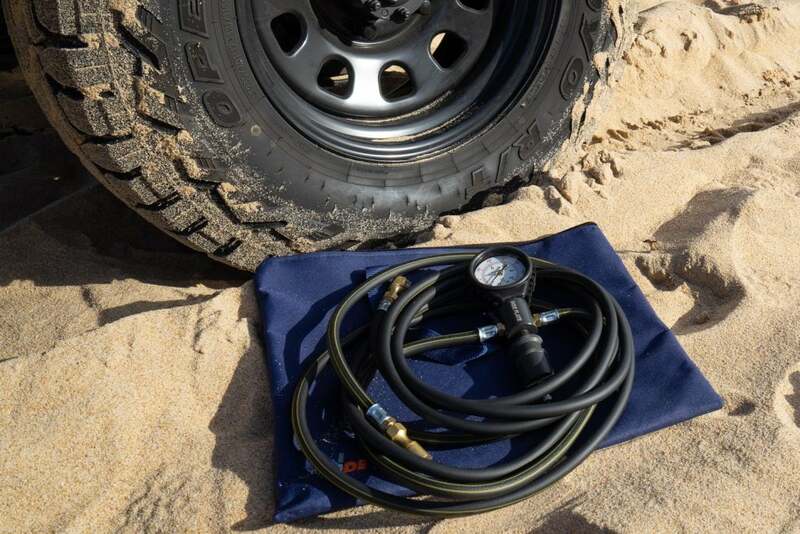 Designed and built in South Africa, INDEFLATE is a dual purpose device which can be used solo as a tyre deflator or in combination with a compressor to take the hassle out of inflation too. With dual hoses it’s designed to process two tyres at a time. So how does it work? For deflation it couldn’t be simpler. 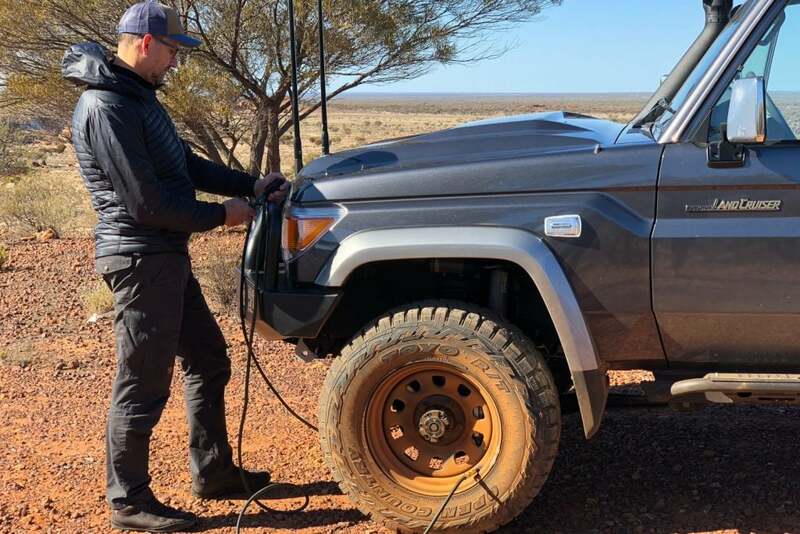 Simply connect the two tyres, slide the dump valve up to open and relax. Standing on the job – genius – we got used to that in an instant. With the dump valve up air gushes from the holes below. To check the pressure or stop simply slide the valve down into the closed position. 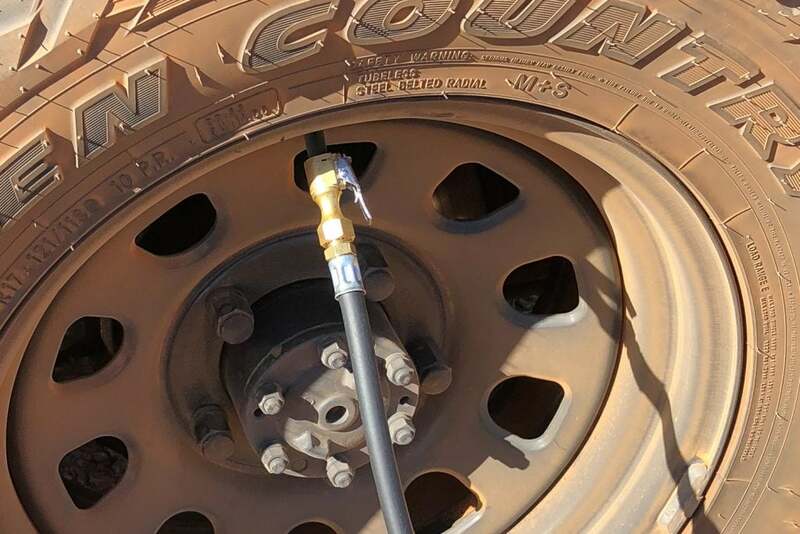 To inflate it’s a simple case of connecting your compressor hose to the base of the INDEFLATE. 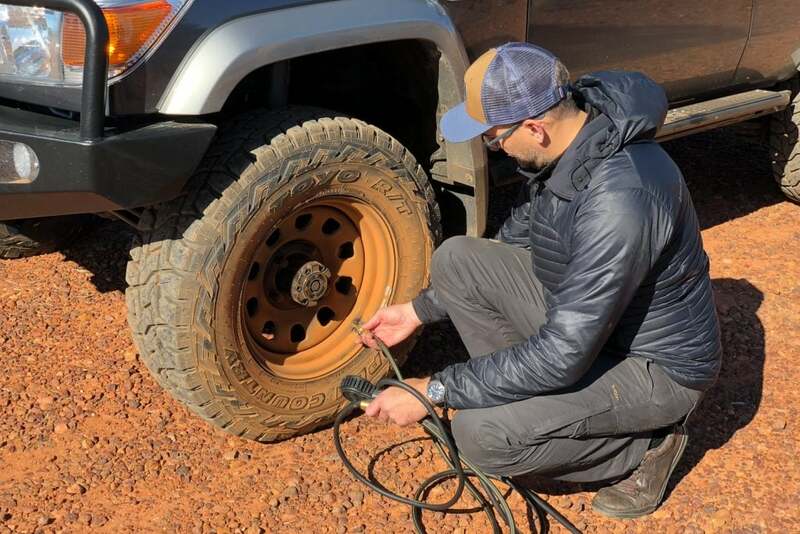 A standard tyre valve has been used for this connection for simple ‘out of the box’ compressor compatability the world over. 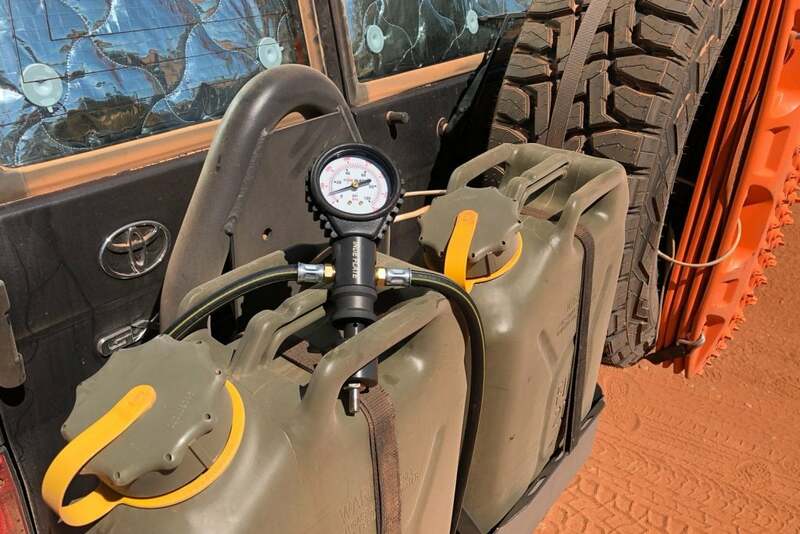 Our ARB Twin Compressor thumped two tyres back to highway pressures in no time, but every compressor will vary in speed. The body of the INDEFLATE is military spec hard anodized aluminium. 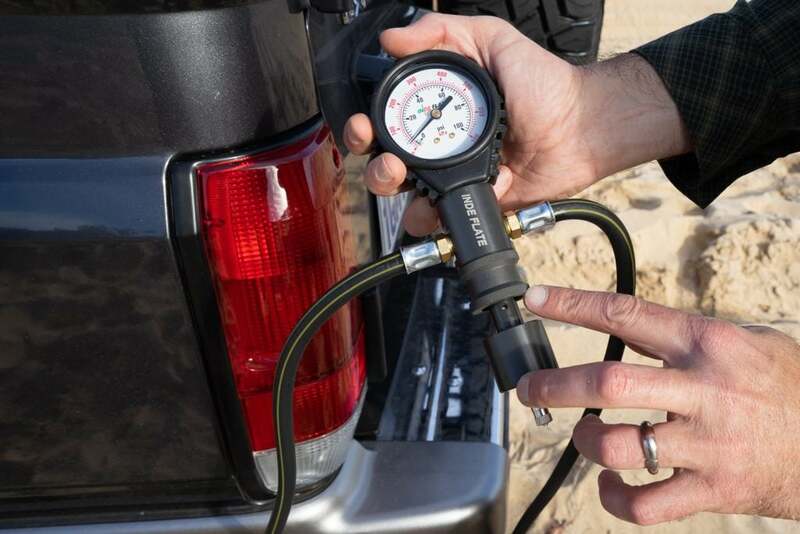 The 0-100 psi gauge reads accurately and is rubberised to protect against drops. The hoses are commercial grade and the whole unit has an over-engineered feel which is just the way we like gear. 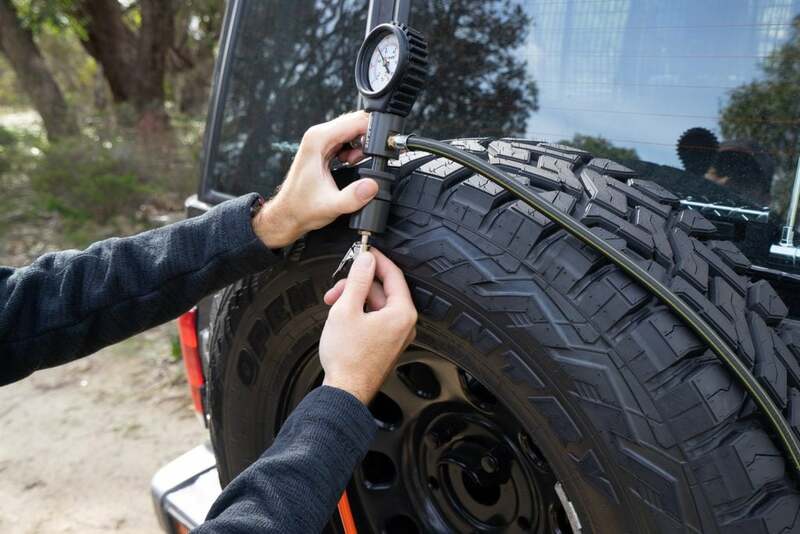 When you clip the quality chuck on the tyre valve it actually stays in place first time every time – with no leaks! 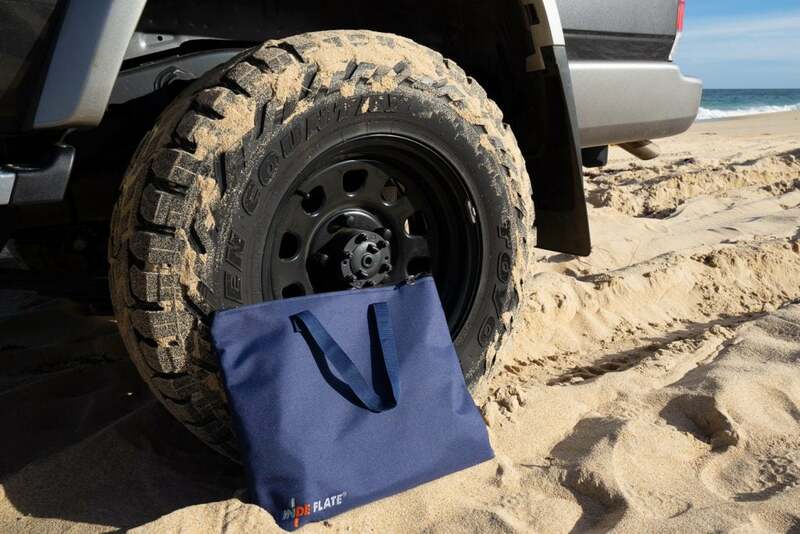 The INDEFLATE comes in a roomy bag that easily holds the unit. 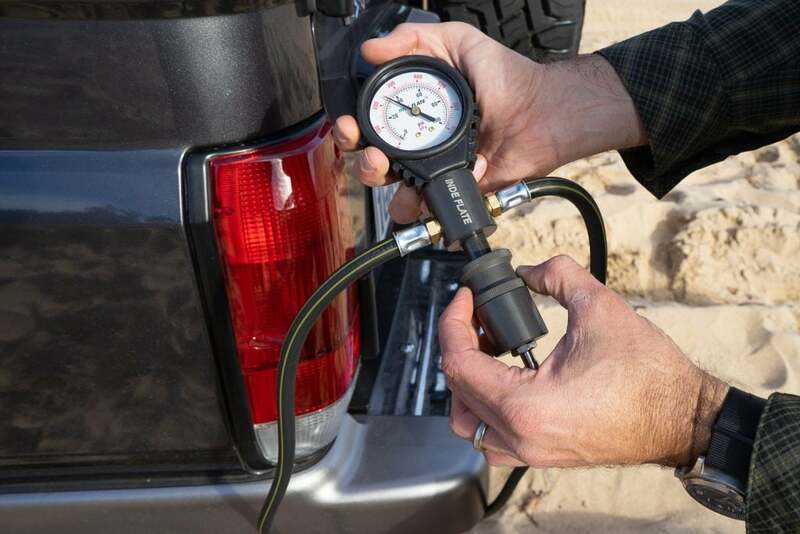 INDEFLATE also offer a growing range of accessories including high quality compressor hose upgrades. 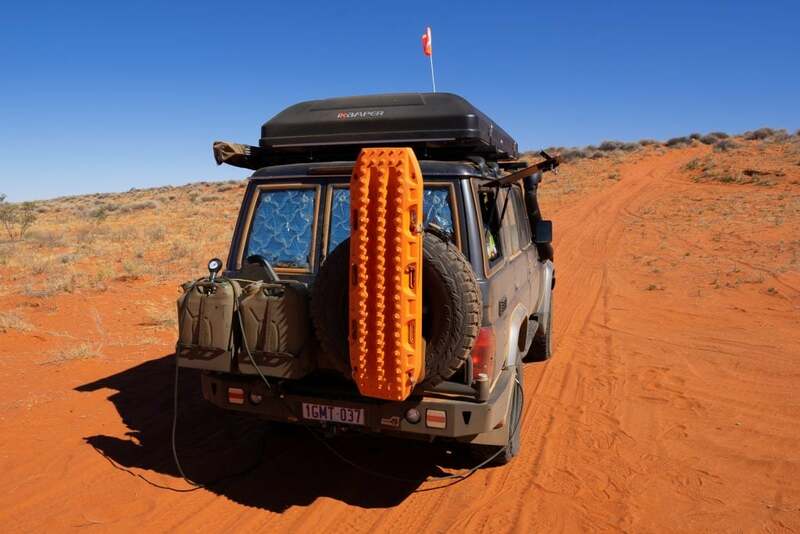 As frequent overland travellers we constantly assess gear on a benefit vs weight/bulk basis. 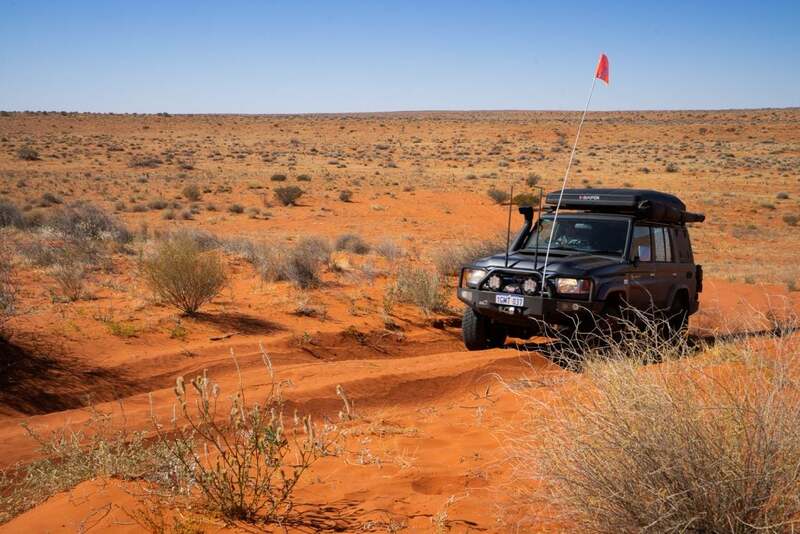 We’ve just returned from a few weeks travelling through central Australia and the Simpson Desert. 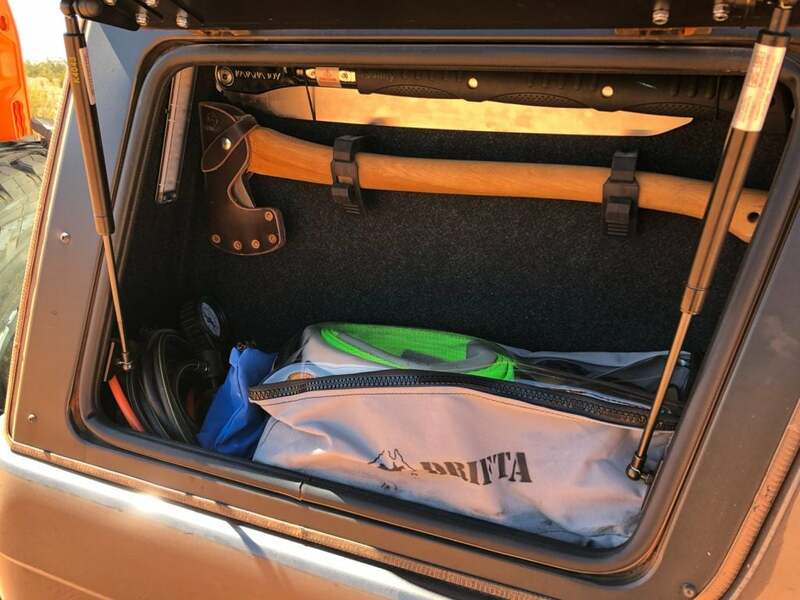 With frequent tyre pressure changes along the way, the process has never been so easy., and it’s for that reason an INDEFLATE has earned a permanent place in our gear locker.